I’m a bit tired so the post is short; we saw a very nice collier site. 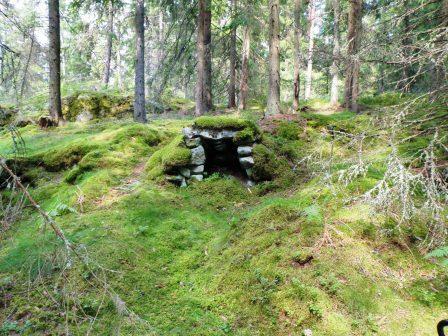 These remains are common in the Swedish woodlands. Most often one find the remains of the process consisting of a charcoal bottom; it’s often round, ca 5-10 m in diam. 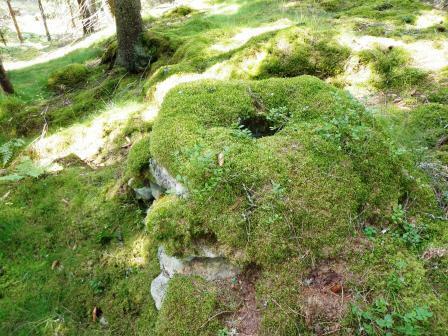 and 0,2-0,5 m high and the ruins of a small hut. This hut, and the furnace in particular, is well preserved. This entry was posted on Wednesday, August 5th, 2009 at 8:59 pm	and tagged with collier, forestry, Kolbotten, kolning, kolomila and posted in Uncategorized. You can follow any responses to this entry through the RSS 2.0 feed.